Resembling a DNA helix, this miraculous, fuss-free skin perfector will help fake the appearance of good skin genes. With green tones to neutralise redness and blemishes; lavender to counteract sallow undertones and peach to brighten and illuminate, this quickly disguises shadows and imperfections while the lightweight formula won’t clogs pores or settle into fine lines. With a cocktail of easily absorbed, skin conditioning minerals it leaves your skin looking clear, fresh and luminous whether worn alone or under your usual make-up. Stila’s brilliant One Step Correct features three colour-correcting brighteners, suspended in an anti-ageing skincare serum. Specially formulated to unify your complexion, the weightless formula blends almost imperceptibly so your skin looks naturally flawless and glows with a youthful lustre. Youth Revival Bio-Available Mineral Complex comprises fifteen bio-available minerals suspended in spring water, to adapt to your skin’s needs and quickly address problem areas, so your complexion is cared for whilst flaws are disguised. Dispense one pump onto clean fingers, and massage gently into skin paying attention to problem areas. Can we worn alone, layered for additional coverage or used as a unifying primer for your usual foundation. I have an irrational fear of this primer being discontinued so I always make sure I have two! I am absolutely obsessed! My main skin concern is slight redness, using This primer takes away all of my redness, giving me the most even tone skin! Most days I don’t bother with tinted moisturiser anymore. Highly highly recommended! I wear this primer daily, regardless of whether or not I'm wearing makeup. Although it doesn't completely get rid of serious redness, this genuinely makes a HUGE difference to my complexion. I cant walk out of the house without it because of my redness and uneven complexion but as soon as it's on my skin is brighter and my redness is like 75% better. I purchased this primer because so many people raved about it. It's alright, just not the best for me. I have combination skin, so on the days where my skin was more on the dry side, it was so nice to put on as it's very moisturising without leaving me greasy. But, on the days where I was a little more oily, it didn't do much at all for me. It didn't feel like I had applied a primer, and I didn't notice it keeping my makeup looking fresh for longer than usual. I didn't really notice any change with the colour correcting aspect of it. I'm probably going to repurchase this in the winter when my skin is more dry, but for now I'm using a cheaper primer that I prefer! It's an OK product, simply not great however. Didn't make a major difference for my looks, it did down red-ness but also made face look somewhat unnaturally bland. Also can start to crumble up and peel somewhat upon application of additional products on top. It works great as a hydrating primer. I have combination skin but lately my skin has been quite dry. So this primer worked best for me under my foundation. However it did not correct my dark circles, my dark scars or correct my blemishes. It lasted me a long time so I continued to use this under my foundation when my skin was dry. I have finished the bottle but I probably would not repurchase. By paying this much for the product I was expecting good results, when I received it, I've wore it everyday for about 5 days and I've not seen any difference when wearing it alone and under foundation. I won't be buying it again! Best primer in the entire world! It leaves your skin feeling so fresh and hydrated and your foundation stays on all day long! Love this and I am just repurchasing my 3rd bottle now. I will never buy another primer. I use this primer on clients (and myself) when they need to be camera ready. This primer allows you to use less foundation and makes it last for long hours. I have used up 2 bottles of this. Super brilliant! Smooth your skin, correct the colour and make sure your make-up stay all day long... best primer ever! I use it as primer when I have no time to do my usual skincare with a lot of anti-aging serums. It's alright, just not the best for me. Normally I use primer for oily skin. It didn't feel like I had applied a primer. I didn't really notice any change with the colour correcting aspect of it. But it has some skincare products in it, and my make up stays on really well even after a night out. I will repurchase. This product works as an excellent primer. However, in terms of improving complexion, it made no difference. If you have rosacea like me, it isn't the best product for reducing redness. It definitely brightened my complexion. Whether it did everything it claims to on the tin I'm unsure. But it definitely brightened and made for a good base for my foundation! I would buy it again. As someone who suffers greatly from rosacea, I am always hunting for a good redness reducer. 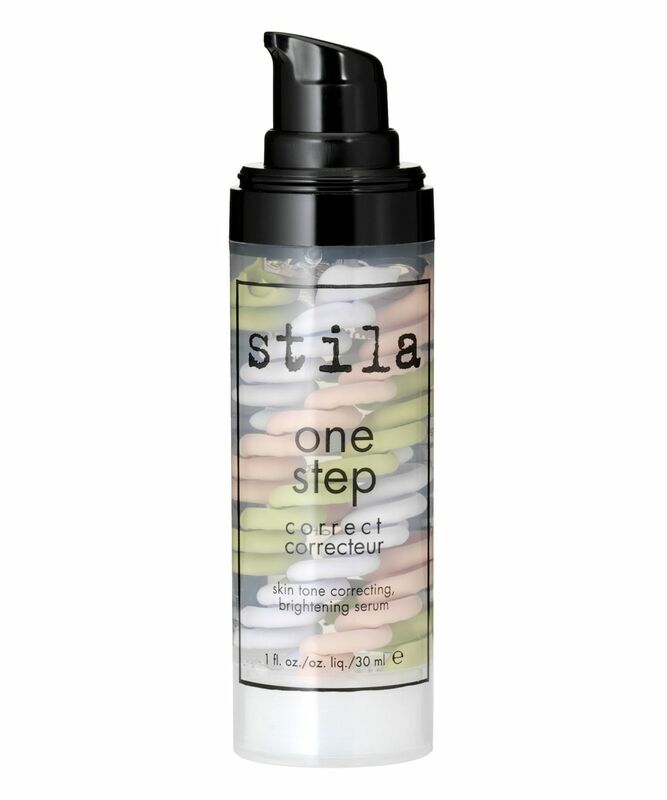 This is great as a primer as it reduces my redness but also leaves my skin with a glow that is great under my cc cream. I highly recommend this product. I have combination skin and use to use the Porefessional by Benefit primer. I bought this one thinking is better but it's not in my case. I did not see the difference between having this on my face and not having anything on my face. The skin did not looked any better, the line were still visible and so were the pores. I wouldn't purchase it again. It brightened my complexion and tackled my redness on application. I had to use a separate primer to hide pores, and to resurface the skin, but as far as colour correcting goes - this is the best I've used. A big thumbs up from me! Before my makeup would have come off mid day but now it stays on until I take it off at night. My complexion has improved too. Buying my second bottle now because this is a must in my makeup bag!